This is it! The Original Ghostbusters finally come face to face with those who Answer The Call! Inter-dimensional travel is no new thing to the original boys in grey and their colleagues, but this is the first time that dimensions have ever overlapped and threatened to merge -- which could be a worse fate than total protonic reversal! 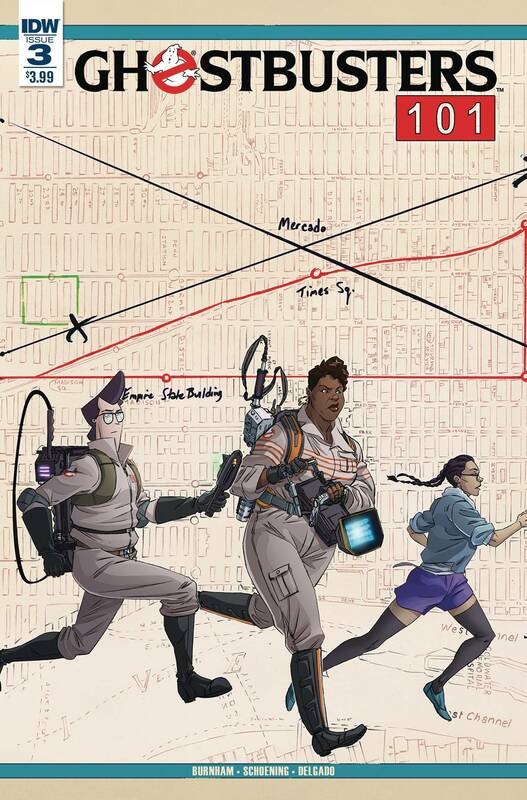 Bullet points: Straight outta the 2016 film, the Answer the Call Ghostbusters make their comic book debut! Abby, Patty, Erin and Holtzmann join forces with Winston, Egon, Ray and Venkman for some bombastic ghostbustin' insanity! Written and illustrated by the fan-favorite and critically-acclaimed creative team of Erik Burnham, Dan Schoening and Luis Antonio Delgado. Featuring the third of six-interconnected covers by Schoening and Delgado. Retailer incentive covers feature photos of the Original and ATF Ghostbusters casts!